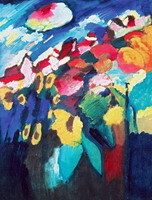 The artist said that it is based on impressions of the Cossacks’ entrance to Moscow during the revolutionary events of 1905-1906. 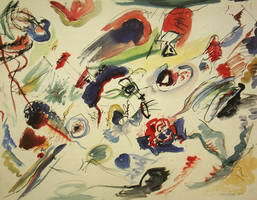 This work is semi-abstract. 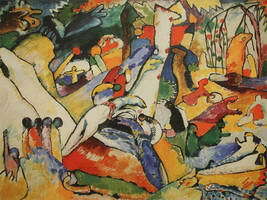 There are two Cossacks with sabers in the upper left corner. 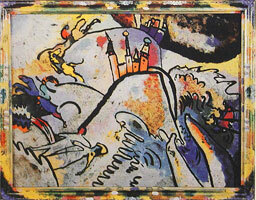 On the right there are two Cossacks with lances and one with a saber against a blue hill with a house on it. 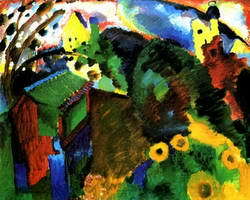 The rainbow is a bridge. 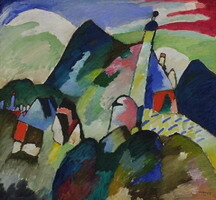 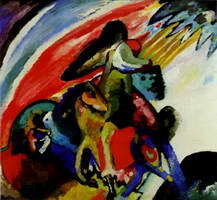 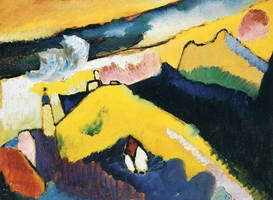 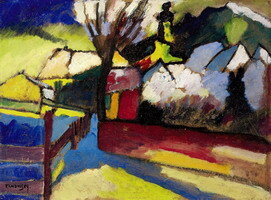 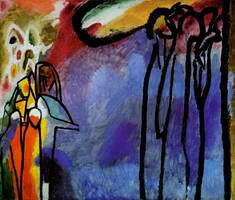 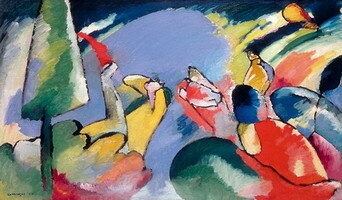 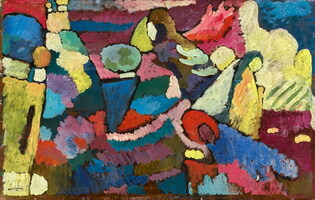 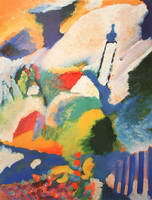 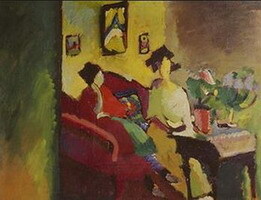 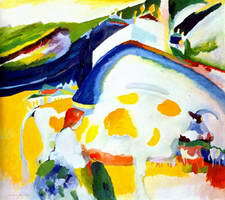 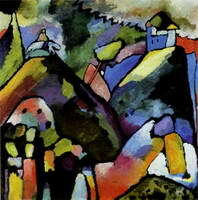 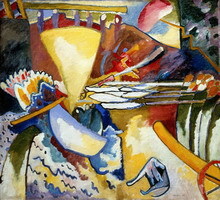 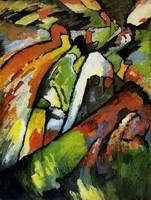 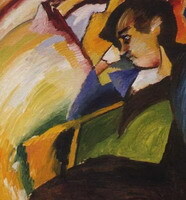 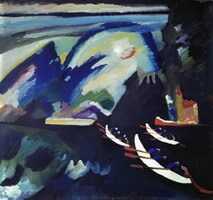 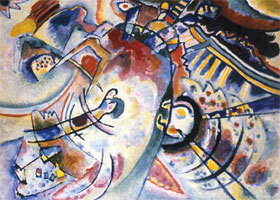 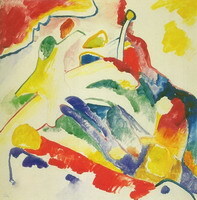 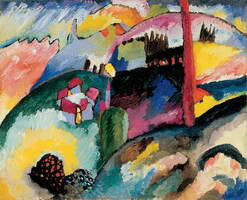 Ellie from Peterborough: I love Kandinsky's paintings!!! 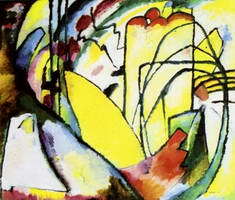 "The nightmare of materialism, which has turned the life of the universe into an evil, useless game, is not yet past, it holds the awakening soul still in its grip."